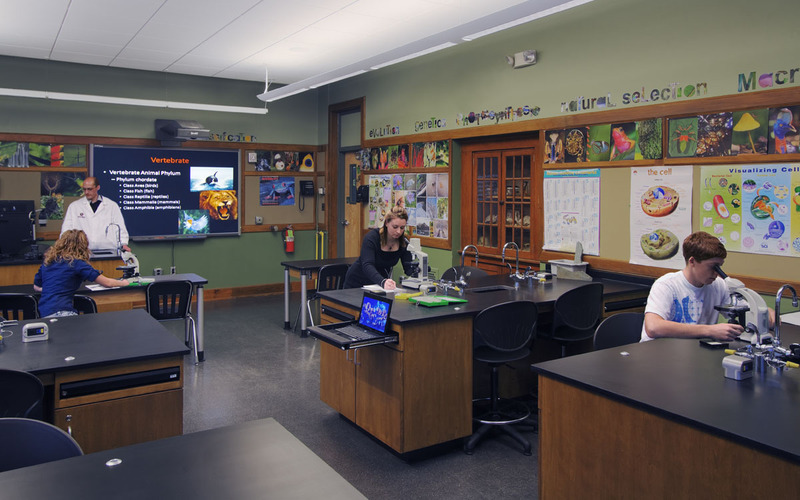 Working closely with the Poultney Town School District, TruexCullins created a 21st Century high school classroom and laboratory space with flexible spaces and robust infrastructure. The new classrooms meet the rapidly changing technology, course curriculum, and teaching needs of the school. 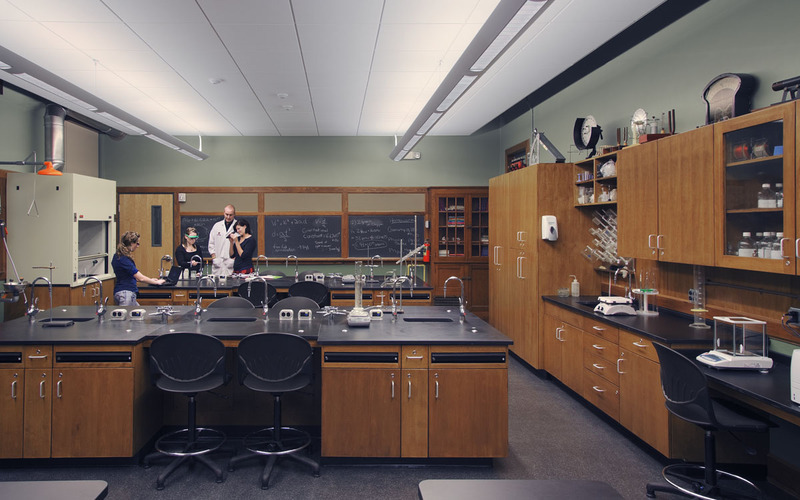 The renovated historic classrooms include energy efficient lighting with daylight and occupancy sensors, new science laboratories and equipment, and flexible lighting to meet a variety of presentation styles and media. 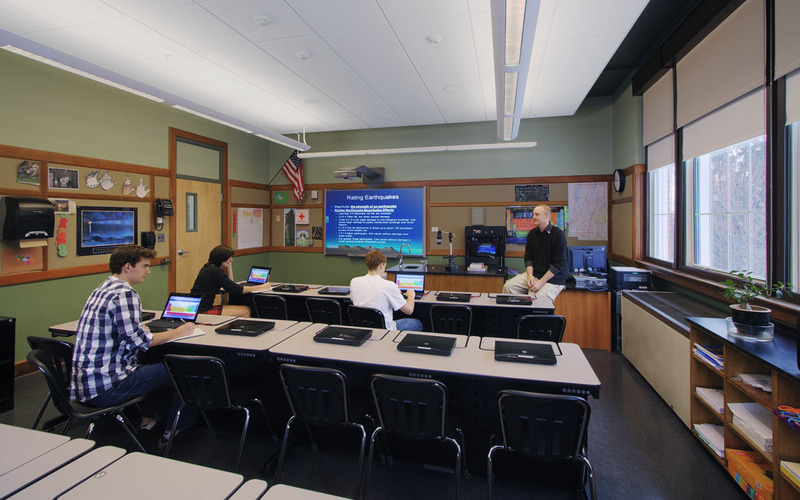 Each student workspace is equipped with a laptop integrated into the custom casework and each classroom includes a fully integrated multimedia package for computer and web-based presentations.